For most of the summer, it seemed inevitable that Alexis Sanchez would leave Arsenal. 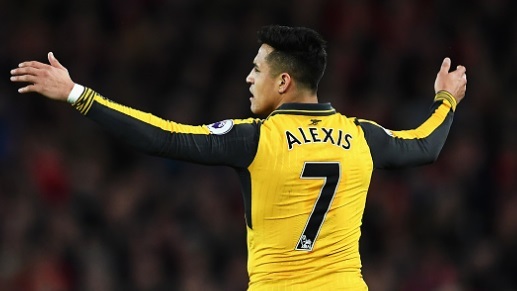 The Chilean has been whittling down his contract and now that he is in his final year, the Gunners were expected to cash in on him to prevent him leaving for nothing at the end of the season. With the 28-year-old on international duty, he was all set to sign on the dotted line with Manchester City delegates. However, the Daily Mail claim City were left exasperated by Arsenal’s ‘shambolic’ policy which left them scrambling around to sign Thomas Lemar. A deal for the Monaco winger fell through because he wanted to join a Champions League club – but it’s suggested that was known by the early afternoon, so Arsenal’s subsequent bid for him was a waste of time. Arsene Wenger had suggested earlier in the week that Pep Guardiola might include Raheem Sterling as part of the deal. That was rebuffed by the Citizens, who were willing to pay £60million cash. Sanchez is understandably disappointed not to have been allowed to go and could well push for his exit in January.